Girl Standing In Russian Traditional Costume. Woman Is Wearing.. Stock Photo, Picture And Royalty Free Image. Image 7169937. 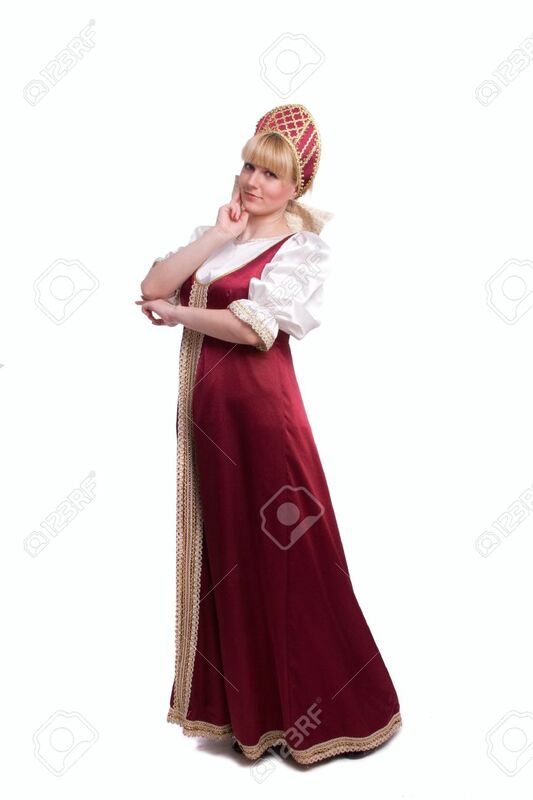 Stock Photo - Girl standing in Russian traditional costume. Woman is wearing sarafan and kokoshnik . The girl in red old russian dress. Isolated on white. Girl standing in Russian traditional costume. Woman is wearing sarafan and kokoshnik . The girl in red old russian dress. Isolated on white.